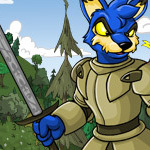 We have provided ten Neopoint items and ten Neocash items to inspire you to create an amazing customization for your Neopet! This guide is to help you get to the score of 6,500 needed for Snow Roller! Sand stung his eyes as he pushed forward, shielding his face in the crook of his elbow, left hand placed carefully on the hilt of his sword. In between breaths, he could faintly make out the bone-chilling moans of the undead drifting through the wind. While lupes are much better at seeing in the dark than, say, a human, the jungle was still very dim for him, and he could hardly believe Scout could track anything in this darkness. "Are you sure you can see his tracks?" What REALLY happens when this pops up while playing dice-a-roo!